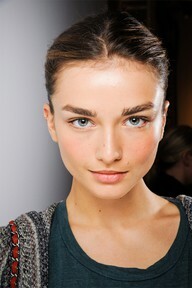 It seems to me that thick, shapely eyebrows have been the hot thing lately. Anyone else noticed this? I love the look, personally, but I don’t know that I could pull it off. (As I mentioned before, I have trouble getting my eyebrows to grow much at all, anyway!) Is this just one of those trends that looks great in photos and on the runway, but won’t pick up much steam in the real world? Eyebrows are essential to framing a beautiful face. Why not go big? Previous Post Your support is appreciated. Next Post Why, thank you!